Mr. Doornaert has more than 18 years experience in advising clients on a broad range of trade programs, import and export compliance, and cost-savings opportunities related to global supply-chain activities, such as Foreign Trade Zones (FTZs). He is well versed in analyzing import and export activity to evaluate global supply-chain structures for cost effectiveness. His expertise includes advising multinational clients about compliance with various import and export regulations and assisting clients subject to Customs enforcement procedures. Managing the establishment of FTZs — from application to activation to implementation of FTZ Inventory Control and Recordkeeping System. Conducting compliance assessments and providing comprehensive reports to explain cost-savings opportunities, compliance gaps, industry-leading practices, and suggestions for implementing a global, corporate-governance function. Helping companies under scrutiny by Customs authorities to develop acceptable methodologies to support their position. His clients represent a range of industries, including automotive and heavy vehicle, consumer electronics, household products, retail, energy, and defense. Mr. Doornaert holds a bachelor’s degree from Michigan State University and a juris doctor from University of Detroit Mercy. 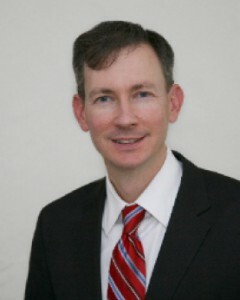 He is a member of the State Bar of Michigan.